What Are The Rules to 5 Card Stud? - Casino Answers! 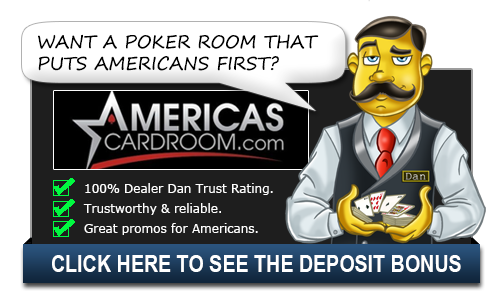 Casino Answers » Poker » 5 Card Stud » What Are The Rules to 5 Card Stud? Each player posts the ante, and there is the first round of betting, with the low card by suit required to go first. The two of clubs would be first of all other twos were out for example. Each player is dealt two cards, one face down, the other face up, and the betting begins. The first two rounds the bet and raises are at the lower limit of the stake structure, with the remaining rounds the highest stake. Online Availability: Five Card Stud is currently available on Paradise Poker and the Prima Poker Network. We recommend PokerTime or Golden Tiger Poker on that network. Where can I play Five Card Stud for real money? You can play 5 Card Stud for real money at Paradise Poker, PokerTime and Golden Tiger Poker. 5 Card Stud is not the world’s favourite poker game but it is by the far the easiest to play because there is absolutely nothing complex about it at all. The general rules of poker always apply to 5 Card Stud, meaning that you have to play to get the best hand using the ranking in which the highest and is the Royal Flush and the lowest hand being a single high card. However, the mechanics of the game itself are simple. Firstly, each of the players places an agreed bet. There can be between 2 and 10 players at any given time during a 5 Card Stud game. When the bets are placed, each player is a dealt a hole card face down and then another that is placed in front of him or her face up. As soon as all players have their two cards, the player with the highest face up card places a bet. After this has been put into the pot, the player that is to the left of him or her chooses the next move. He or she can fold, stay or raise the pot. The bets go around the board and, when each player has matched the bet if someone raises, a third card is dealt face up. Another 5 Card Stud round of betting occurs after the third card has been dealt, with all players allowed to fold, check or bet. The highest hand goes first and then the player to the left and so on. Again, the highest bet has to be matched by all players that are willing to stay in the hand before another card is dealt face up. Again, the round is like the previous one in terms of betting before a fifth and final card is dealt, totalling four face up and one hole card. A final round of 5 Card Stud betting occurs before the final hands are revealed. However, it differs in that players can call as well as folding, checking or betting. When all players have finished, the cards are revealed and the person with the highest hand wins. It really is that easy!